Have you ever heard of citation marketing? You probably know that links to your website are good for SEO (Search Engine Optimization), but did you know that mentions, without links, of your practice name, address, and phone number on other websites are good for SEO as well? These mentions of your business are known as citations. Some SEO companies still believe that good rankings are all about backlinks, backlinks, backlinks. While this may have been true five years ago, it no longer is. The search engines are getting smarter and their algorithms now take many factors into consideration when ranking a website. Good SEO for dentists involves knowing the right combination of factors in order to produce the best organic rankings for a dentist’s website. Experience shows that, with all other factors being equal, a dental practice website with more citations is likely to rank higher in the search engines than a practice site with fewer citations. 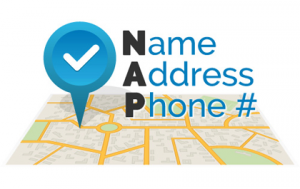 These mentions of your name, address, and phone number (known as NAP) commonly appear on blogs, press releases, news articles, and other websites. How Do You Audit Citations to Improve SEO? An important piece of any SEO plan for dentists that involves citation marketing is auditing these citations. It is critical that your NAP is consistent across the Internet for the best results. This means that your name, address, and phone number are written the exact same way everywhere they appear online. Citations that vary in spelling from one site to the next will not be nearly as beneficial as if they were consistent. For instance, if your practice address is 12345 Bright Smile Blvd., make sure that “Blvd” is always written the same way. If your practice site NAP has it abbreviated “Blvd” then it needs to be abbreviated that way in all citations. This consistency makes it easier for the search engines to verify that the citation is referring to your dental practice, and then accurately display your practice in the results. Do a Google search of your practice to find your citations. Check the NAP information on all sites your practice appears on for any inconsistencies. If you find any, take the necessary steps to get the information edited. You can typically just email the website’s owner/webmaster/editor with the correct information to get it updated. Interested in learning about other ways to optimize your online presence to get more new patients? Download our Free eBook!